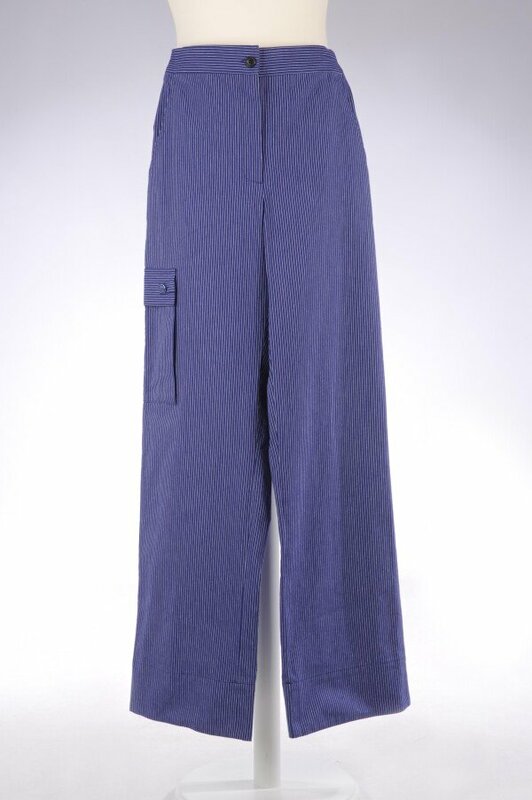 Straight cut stripe trousers with pockets. The applied side cargo pocket lends chic athletic pants. 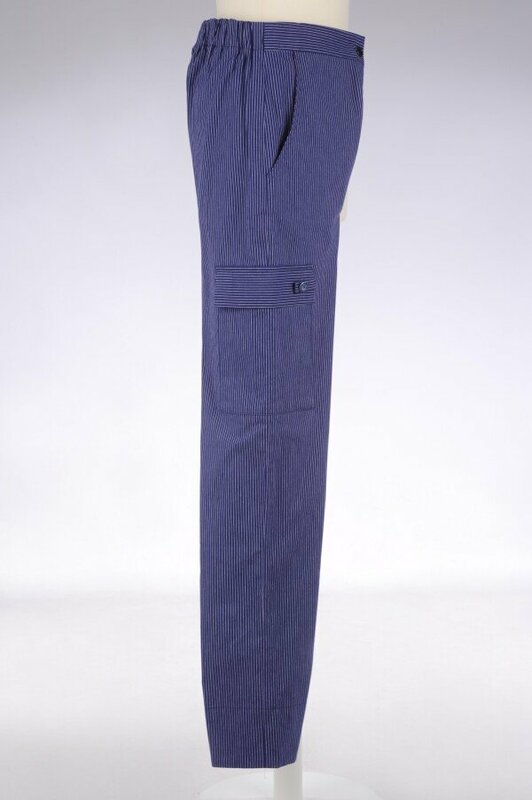 Through the solution of elastic back waist flatters the trousers of different Taillienweiten. 106 cm side length.